Hamburg has taken a lot of hits in the German press for its failure to deliver its stunning new Philharmonic Hall on time, but Hamburg’s dynamic reconfiguration of its waterfront is something that should be drawing great praise from critics everywhere. Apparently, the tourists get what the critics are missing. Between January and June this year, Hamburg received 5.5 million overnight stays for its 13th consecutive year of tourism growth. 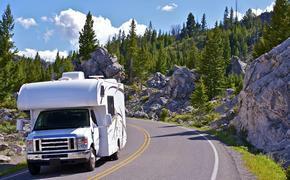 Overnight stays from international visitors increased by 12 percent. The Beatles were right about Hamburg, it’s an amazing city. Sitting about 25 miles west of the old East West divide, Hamburg was heavily impacted by the Cold War. As the third largest port in Europe, it was the hub on the River Elbe for shipping goods into Eastern Europe, an activity that came to a close during the Cold War. It’s also a gateway town between the Jutland Peninsula to the north and Continental Europe. In modern unified Germany, Hamburg has fully re-emerged as a major city, now the second largest in Germany. With a 75.8 percent hotel occupancy rate, Hamburg reached a new record and is now has the highest room occupancy rate in Germany. In the Hamburg metropolitan region, the tourism industry annually generates some € 11.6 billion. “With an increase of 3.4 percent in overnight stays, Hamburg continues to grow at a record level”, said Andreas Rieckhof, secretary of state at the Hamburg Ministry of Economy, Traffic, and Innovation. The U.S. is Hamburg’s fifth largest foreign market and with 88,803 guests it grew by 16.5 percent in the first half of 2014. Hamburg decided some time ago to make its industrial harbor, which docks about 14,000 ships a year, a part of the city. Most port cities regard the iron thicket of cranes that tend to oceanic cargo ships as eyesores; not Hamburg. In fact, Hamburg offers a fascinating cruise tour of the district that brings you up close to these giant cargo ships. The HafenCity project, the largest inner city development project in Europe, brings the port into the city, culturally as well as economically. Scheduled for total completion in 2025, HafenCity will introduce new apartments, cultural venues, restaurants and shopping into the area directly across the Elbe from the port. The Hamburg Elbe Philharmonic Hall was supposed to open in 2012 on the western edge of HafenCity with its maritime design. Now it’s scheduled for 2017, not good. But when it does open fully it will dazzle. The Swiss architects Herzog & de Meuron designed an homage to the heart of this city in a building which combine a warehouse below and glass waves above. Sea-going trade built Hamburg and the heart of the city remains the Speicherstadt, an area built on islands (connected by bridges) just off shore. The area features long rows of spectral warehouses built in the 1880s by Neo-Gothic architects using red brick, the favorite material of buildings in the Hanseatic cities. In 1960, the Beatles came to Hamburg’s St. Pauli district, along a strip known as the Reeperbahn, a Red Light district that was one of a few places ready for rock and roll at that time. Over the following two and a half years, the band played 281 gigs, launching their career. While the Reeperbahn still has some prostitution (it’s legal there), the zone has evolved into more of a party area, a little like Bourbon Street. 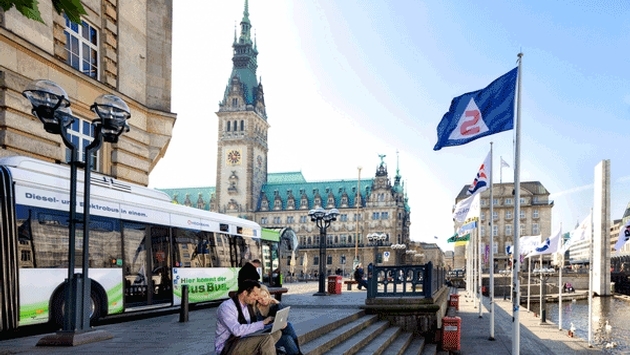 Hamburg’s online travel agent training program is divided into four courses: neighborhoods, culture, lifestyle, and excursions. Agents that complete the program will receive a Hamburg Specialist certification.